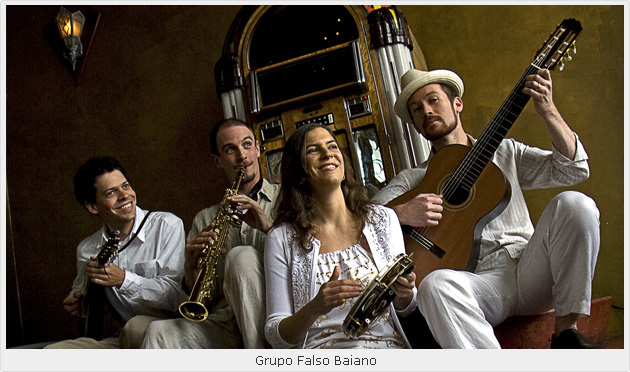 Grupo Falso Baiano is a choro group that offers a window into the history and diverse culture of Brazil. Choro is one of Brazil’s earliest popular musics, dating back to the late 1800s, and, similar to jazz, it reflects the melding of African rhythms with a melodic and harmonic structure closely resembling Baroque Classical music. G.F.B.’s exploration of choro spans nearly 100 years, including everything from the traditional to more contemporary versions and jazz influenced reinterpretations. In addition to performing and touring, Grupo Falso Baiano has worked in collaboration with the Pasadena Pops, Around the World Music Program, Young Audiences of Northern CA, and Youth in Arts, to bring choro and Brazilian music to students throughout California. Grupo Falso Baiano is: Zack Pitt-Smith, reeds, Brian Moran, 7 string guitar, Jesse Appelman, mandolin (bandolim), and Ami Molinelli, percussion. LJN: Hello Brian, welcome to the pages of Latin Jazz Network. It’s a pleasure talking to you. Let’s get started with this interview by asking you about Grupo Falso Baiano’s newest recording (the second one) entitled “Simplicidade: Live at Yoshi’s.” But before, let’s go back to the beginnings of Grupo Falso Baiano. It started in the San Francisco Bay Area as a trio in 2003. It became a quartet in 2006. Your first CD Viajando Choro e Jazz came out in 2008. None of you are Brazilian. Why Choro music? What sparked your interest and made you take that direction? BM: It’s hard to explain why and how someone gets bitten by the choro bug. For us – as musicians – I think it’s the special way that melody, harmony and rhythm come together in the form of choro. There’s nothing unique in traditional choro that isn’t found in jazz harmony, melody and rhythm, but the way it all comes together, with the particular instruments, and particular way of playing, is what makes it so addictive. Coming from a jazz background, my interest had a lot to do with the rootsy, acoustic quality – and the lack of a drum kit or bassist. It was fascinating to hear something that swung so hard that had no bass (only 7 string guitar), and instead of a drum kit, a single pandeiro (tambourine like instrument). BM: For us, it was simple: out of respect for the tradition, and those who grew up with it all their lives and play choro professionally in Brazil, we weren’t about to try to pass ourselves off as Brazilians, or try to emulate the Brazilian way at the expense of expressing ourselves – which is going to happen anyway. So sure, we transcribe Brazilian recordings, travel to Brazil and play with Brazilians and all of that, but in the end, any sincere musician is going to leave a part of them self in the music they play, so we recognized that and made it a plus. LJN: Let’s talk about your collaboration with Jovino Santos Neto for this Live recording. Jovino is certainly one of the greatest Brazilian artists living in America. BM: No doubt. I’m surprised how many people aren’t aware of him. He was Hermeto Pascoal’s right hand man for 20 years. And many jazz musicians forget about Hermeto. Miles Davis collaborated with him on Live Evil, and called him, “…the most impressive musician in the world”. To be in Hermeto’s band alone is no small feat. Jovino is an incredible spirit and inspiration, and an honor to work with. LJN: How did this collaboration with Jovino happen? BM: Jovino was a fixture at the California Brazil Camp for many years. We all met him there and got to know him over the years. As a result, we had him perform on our first record “Viajando: Choro e Jazz” in 2008. Around the time of the 2010 Yoshi’s concert, he was teaching at Jazz Camp West with our percussionist Ami Molinelli. So after the camp, we threw together a quick afternoon rehearsal and had him perform with us at the concert 2 days later. Based in the San Francisco Bay Area, Grupo Falso Baiano teams up with Brazilian master Jovino Santos Neto on this delightful Live in concert new release. A great follow-up to Viajando Choro e Jazz (their first recording), Simplicidade: Live at Yoshi’s showcases Grupo Falso Baiano’s original take on the classical Brazilian style, incorporating three compositions by special guest, Santos Neto. They have carved themselves a niche in an increasingly competitive musical environment with extraordinary results. Percussionist Brian Rice is also featured as a special guest. LJN: Let’s talk about the compositions you included in “Simplicidade”. BM: Aside from Jovino’s 3 compositions (Feira Livre, Rosa Cigana and Kenny É Você), they are all covers. It’s a mix of traditional choro tunes (Caminhando, Cheguei, Doce de Coco, Simplicidade), and a few lesser known tunes (Bem Brasil, Deixe o Breque) and a “forró” (Forró na Penha). Something we always do in shows and on records is to play tunes from different eras in choro, as well as material that isn’t considered pure choro (like the forró). LJN: How has Grupo Falso Baiano and its music been received by the public? by your peers? how difficult has been to find a niche market in such a competitive environment? BM: It’s been very well received. I think the public appreciates how different it sounds to their ears. When we do Latin festivals (like on the Latin Stage at the San Jose Jazz Fest), we often get sandwiched between big “latin jazz” groups, with piano, drum kit and congas, horn sections, etc etc. With all that volume and energy, our smaller tighter sound stands out, and I think people really enjoy the contrast. We’ve all dedicated a lot of time to this – learning to speak Portuguese, traveling and/or living in Brazil, studying and performing with Brazilian masters of these forms. So I think there’s a lot of appreciation among our peers. And as for finding a niche, it’s been a blessing. Frankly, with so few band performing choro (though that’s changing! ), it’s much easier to book our group than say, another jazz quartet, of which there are many, and a limited audience. LJN: So, we can say you have had a full immmersion in Brazilian music. BM: I think we’re all just following our passion for the music, and down the rabbit hole we go! Everything has been a natural extension of that. You realize quickly that language can be a barrier, and through the desire to obtain as much knowledge as possible, it becomes evident that you need to speak the language. Then once you’re speaking, the next step seems to be to follow the river to the source, and go to Brazil. Being there, and seeing how the musicians perform the music, both formally and informally is invaluable and is something we try to bring back with us and present in our shows and workshops. For us, it’s all about channelling our love and respect for the music through our own experiences and musical personalities. LJN: Congratulations Brian, “Simplicidade” is a terrific recording. 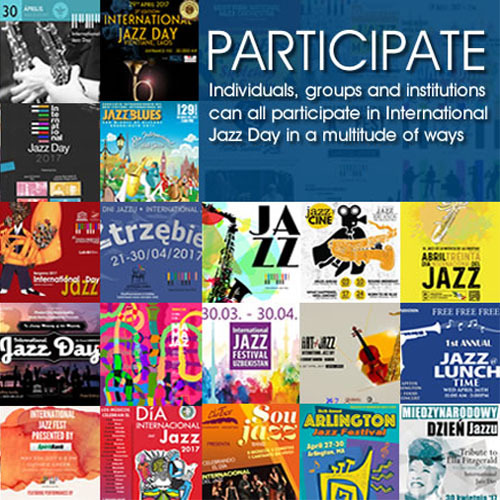 Latin Jazz Network wishes you all the best on your coming projects.